Around 1978, before entering the U.S. Air Force, I built a Dumas Pay N Pak radio controlled hydroplane (modeled after the Pride of Pay'n Pak unlimited hydroplane). Sadly, this is the only known existing photograph of my Pay N Pak unlimited hydroplane. As shown in the photo to the right, it is hanging in my room in the barracks at Robins Air Force Base, Georgia (c.1980). The cowling & rear airfoil assembly is not attached for some reason, so you can see the water-cooled engine, flywheel, part of the drive shaft, rudder assembly on the transom, and the plywood hatch over the radio compartment. Like most of my other R/C models, it sported a Futaba radio. Construction was not simple, as I remember it. Interlocking plywood bulkhead members formed the basic inner structure, and the plywood sheeting was epoxied on the bottom, sides, and top. Forming and holding all the compound curves while the epoxy cured without allowing a twist to be built in was a real challenge. The transom is the only totally flat piece on the entire craft. I coated the entire thing with fiberglass resin and managed to get a very smooth and shiny finish using an automotive lacquer paint (sprayed by my friend, Jerry Flynn). I cannot recall which engine I used, but it was a marine type with the water-cooled head. To start the beast, I used a piece of string about 1/8" in diameter, threaded it under the grooved flywheel, and gave it a tug. Once the engine was broken in, starting was not so bad. I built it shortly before going into the USAF, and then on a trip home, brought it back with me to the barracks. The Dumas Pay N Pak ran a few times in a lake somewhere around Macon, Georgia. After the war (that's a joke), it was run a few times in the Severn River in Annapolis, Maryland. Sometime before packing up to move to Vermont, I sold my Pay N Pak to a local guy who answered an ad I placed in the newspaper. 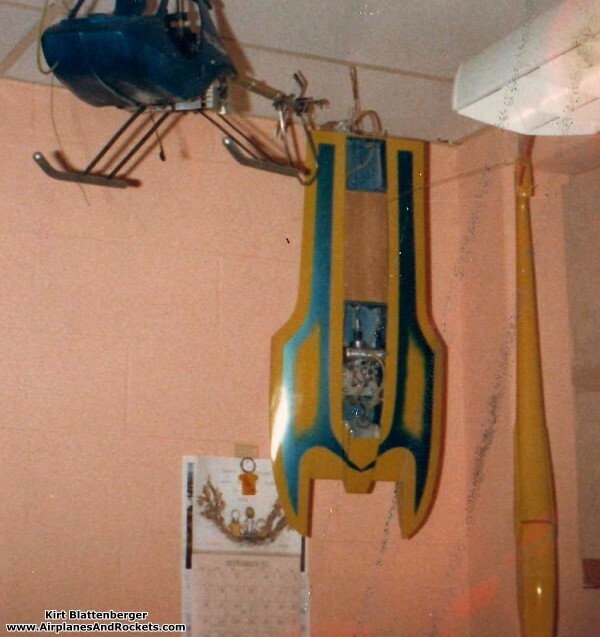 Also shown are my DuBro Tri-Star helicopter and an Airtronics Aquila RC glider with ABS plastic fuselage. Dumas still offers the Pay N Pak for sale on their website for only $55. The running hardware kit costs an additional $43.